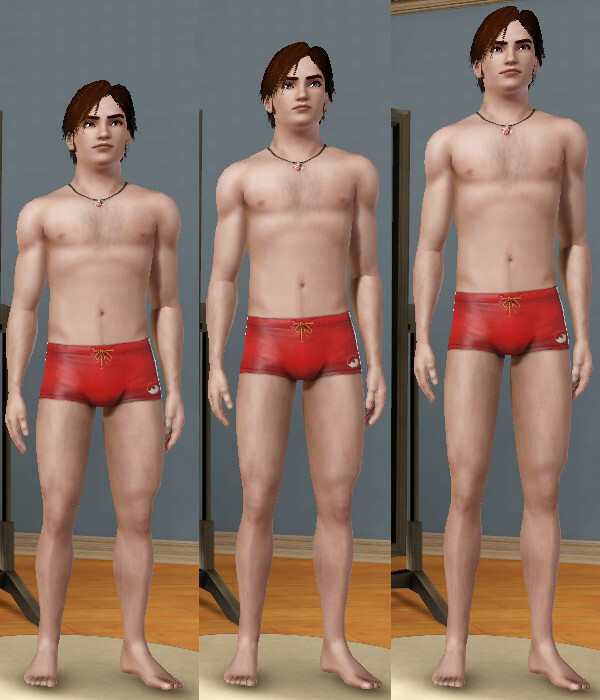 I can't take much credit for this since it's the EA teen morph used for shortness and with the adjustments reversed for tallness, converted to a slider. It was embarrassingly easy to do but I think may be useful so I've submitted it. The slider adjusts the sim's overall height proportionately for the whole body. There's no hand or foot shaking, and no arm or leg distortions I saw besides the glitches noted below. It works for child through elder. Most animations work well with it. 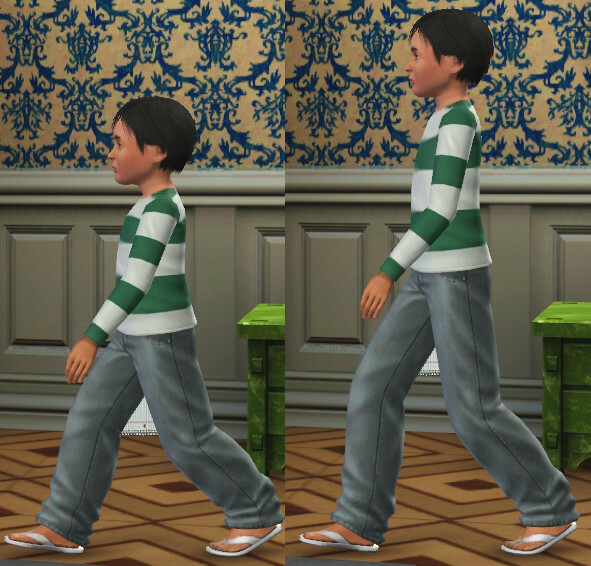 I disabled the slider for toddlers because it causes distortion in the usual sitting animation and they don't do a lot of standing anyway, but you can adjust the value and when the sim ages up he/she will be accordingly taller/shorter than normal. 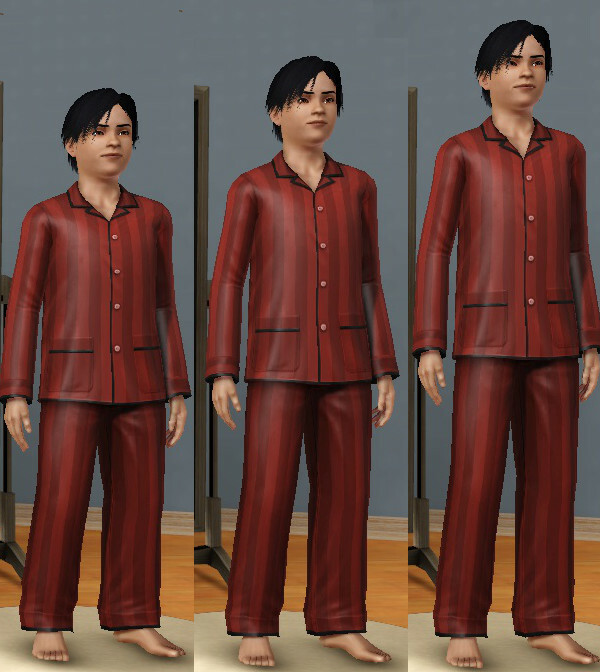 The height should be fully inheritable and will show up when the sim ages to child. As shown in some of the pictures, as with any height slider the kissing animation looks pretty bad. 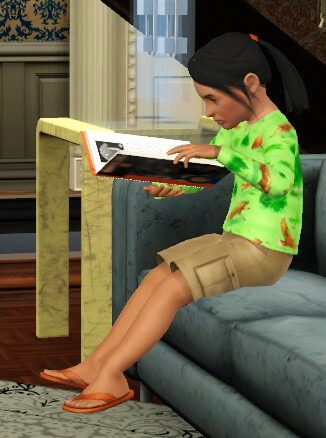 There's some mild distortion of the ankles and feet in short sims when sitting or lying down. 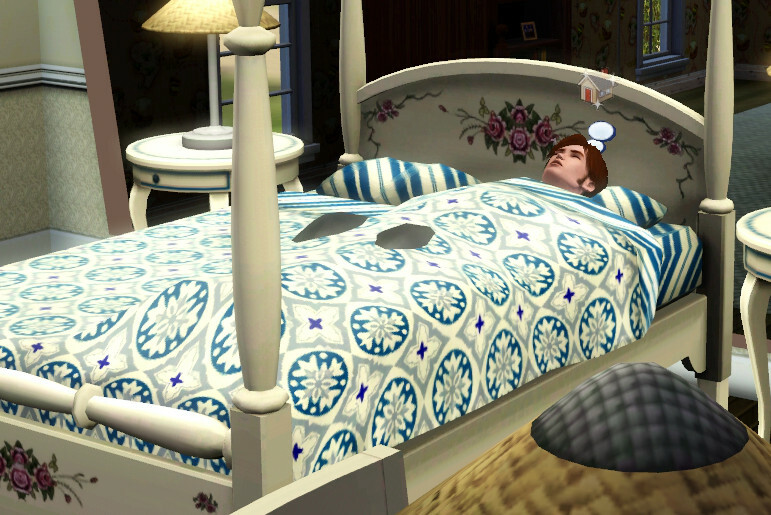 Tall sims will have their knees clipping through the covers when sleeping on their backs. There may be more problem animations that I didn't see during testing. The slider is located in the Appearance tab in CAS, in the Head and Ears general section, Advanced view. The label is "Sim Height by cmar" - to differentiate it from other height sliders. Install like any other mod. Remove by deleting the package. This slider should work with any game patch version and should not need updating. If you have a problem with it let me know, otherwise please don't ask every time a patch comes out. It will work with any EA or custom clothing that is correctly constructed. Please be aware that if you use more than a very few custom sliders you'll need to use a core mod or NRaas Master Controller to increase the number of sliders CAS can use. Some core mods that do this are AwesomeMod, XCAS, and S-Club Priv�e Slider Hack. Delphy for his slider tools. BloomsBase and haukke4 for indirectly and directly getting me to take another look at this.